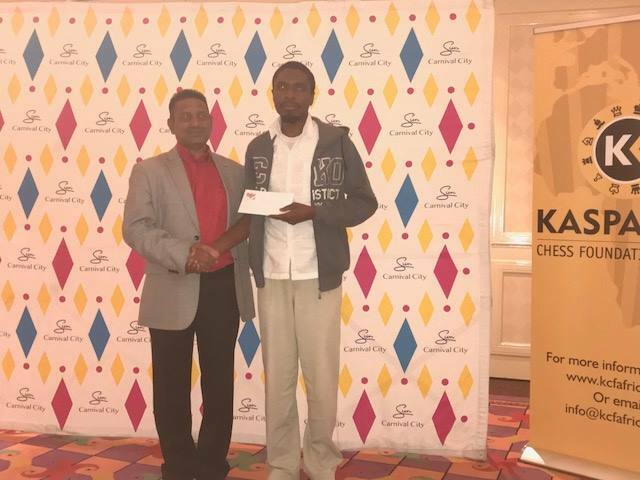 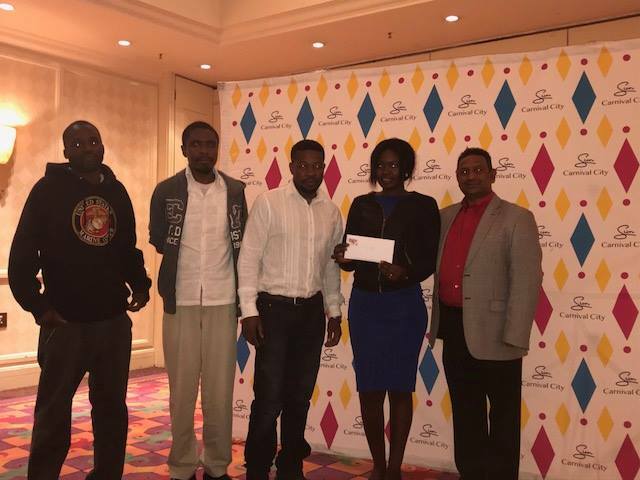 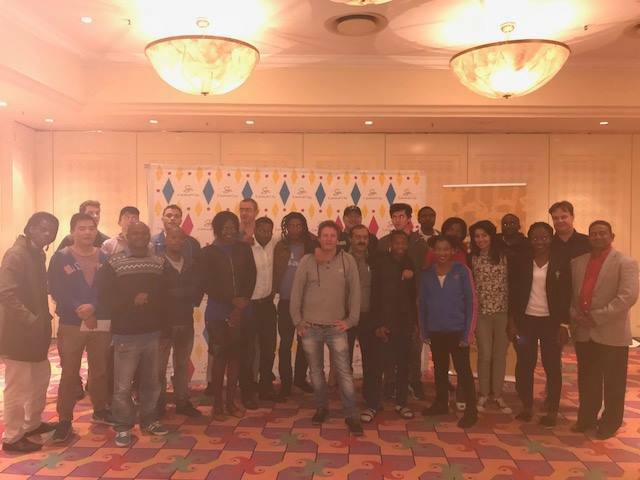 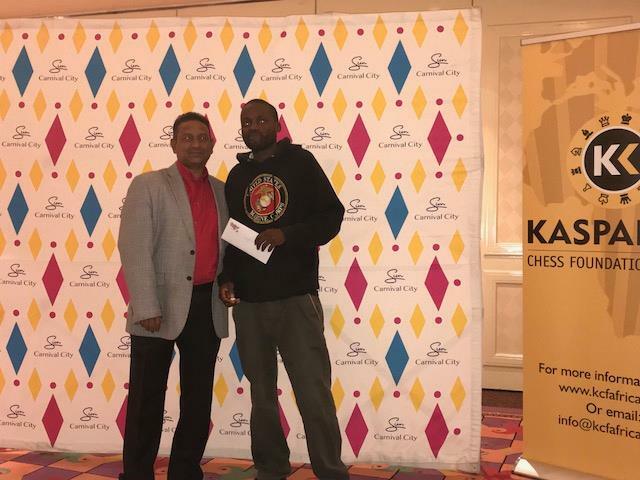 The KCF Africa Team Chess Invitational tournament ended last night with an exciting final round. 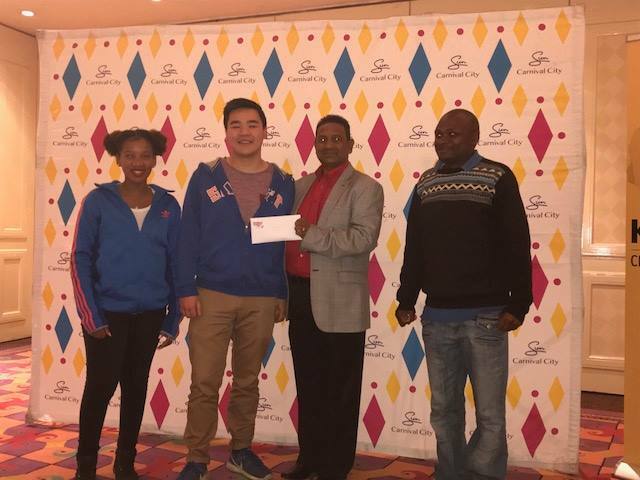 At the end of the day, the Invitational 3 Team of FM Matt Pon (RSA), Joseph Mwalw (MAW), CM Richard Mbedza (MAW) and WIM Tshepang Tlale (RSA) emerged victorious with a narrow one point victory margin ahead of Team Zambia who finished second. 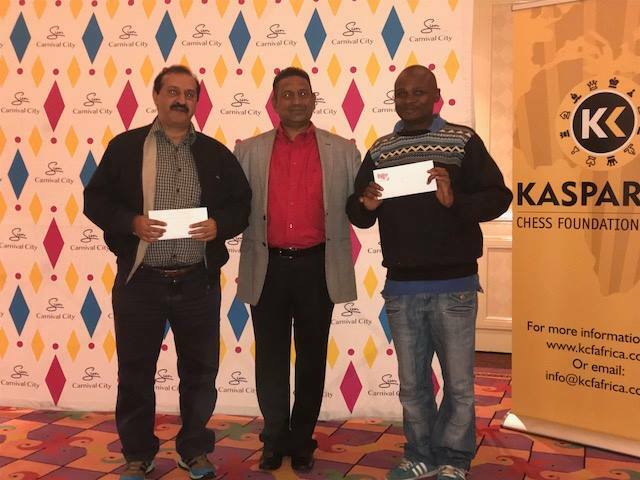 The SA Veterans Team recovered from a slow start to end in a commendable 3rd place. 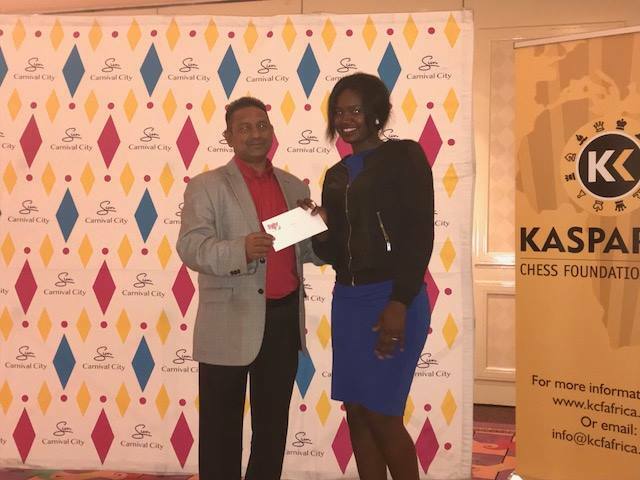 - WIM Epah Jere who dominated the ladies board with a score of 6.5/7 and a net rating gain of 56 points. 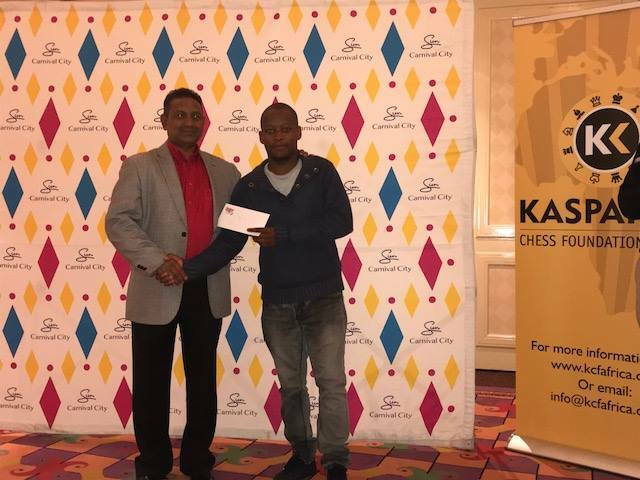 The top rating gain in the entire event was however recorded by the fast rising Keith Khumalo of the Emerging Players team. 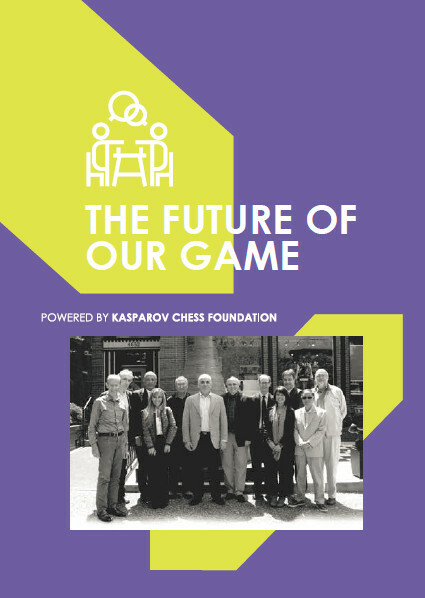 Keith scored 4/7 on board 4 for a tournament performance of 2029 and an ELO gain of 89 points! 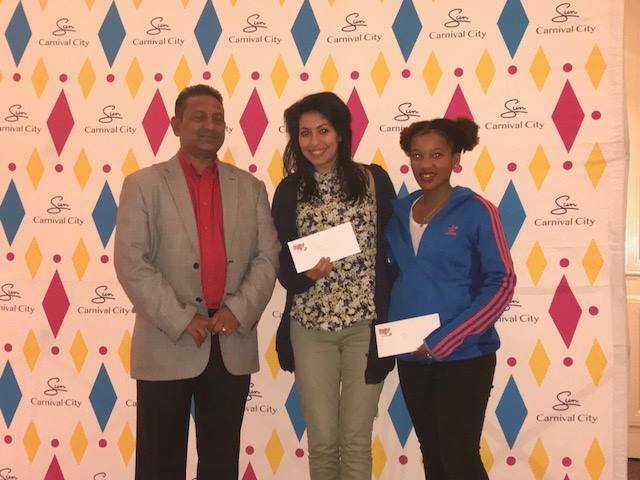 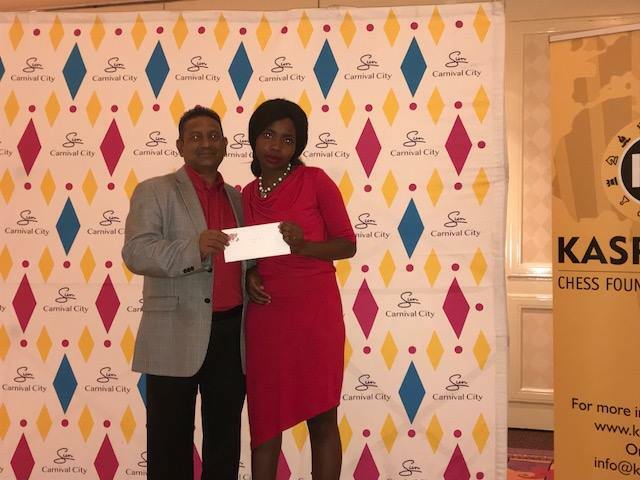 The prizes were awarded by Mr Kharty Padayachee, a member of the Executive Management team at Carnival City. 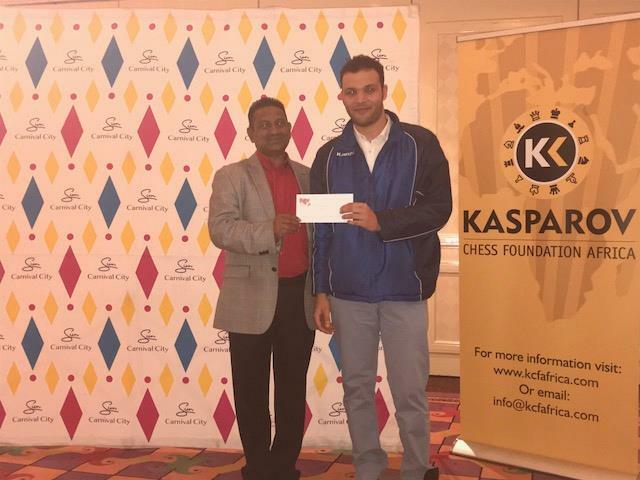 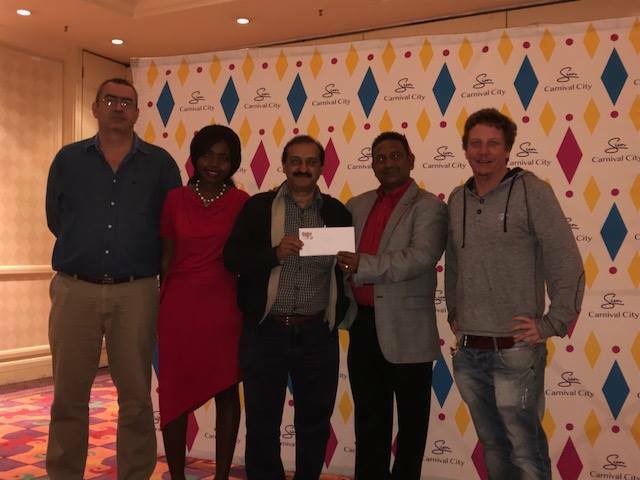 We would like to thank the staff and management team at Carnival City for their fantastic support throughout the tournament and we hope to be able to partner with them to bring more events like this to the venue in the future.